Tag Archive | "Monster Mash Float"
If your family’s Halloween consists of pumpkin carving, trick-or-treating and transforming your home into a haunted house, you’ll be happy to know that the “double, double, toil and trouble” doesn’t have to stop there. 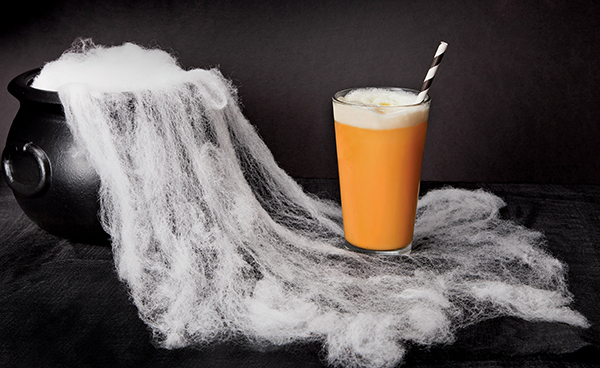 You can add a little extra hocus pocus to your season by brewing up these chillingly creative treats with the whole family. The Monster Mash Float and Paranormal Pudding are two ghoulishly good treats that kids and adults alike will love, and they’re easy to make. The fun is all in the Limited Edition TruMoo Orange Scream milk. Inspired by an orange frozen pop with vanilla ice cream, this new creamy orange milk is so frightfully delicious, it’s sure to make you scream. Because it’s made with wholesome low-fat white milk, no artificial growth hormones or high fructose corn syrup, and is brought to you by your local trusted TruMoo dairy, you can feel great about serving it to your family. 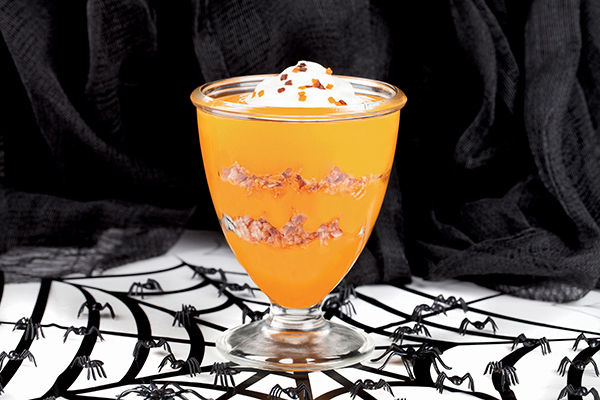 TruMoo Orange Scream is delicious as an ingredient in your favorite Halloween treats or served by itself. Just make sure to drink it fast—it might disappear into the night like the headless horseman. For more frightening fun visit www.TruMoo.com, www.facebook.com/TruMooMilk, www.twitter.com/TruMooMilk and www.pinterest.com/TruMooMilk. In tall glass, pour in milk. Add scoop of frozen yogurt. Slowly add seltzer to create foamy, web-like effect on top of float. In large bowl, with wire whisk beat milk and instant pudding until well blended and thickened. Spoon 1/3 of pudding mixture into two dessert or parfait glasses; sprinkle with some granola. Repeat layering two more times. Refrigerate until ready to serve. To serve, top each with dollop of yogurt and Halloween-themed sprinkles.